Introduced on Flag Day our 275 Tactical Cord Old Glory Patriot bracelet has a red edge, blue center and two alternating white stripes to mimic the stars on Old Glory. With the yellow ribbon reflecting your support for our military shows the world you are a true American Patriot! If you would like to designate different colors, check out THE Ultimate Awareness Bracelet. We manufacture this Mil Type 1 Style Cord to our specs with a 4 strand core and 16 strand cover delivering a whopping 275 pound test break. 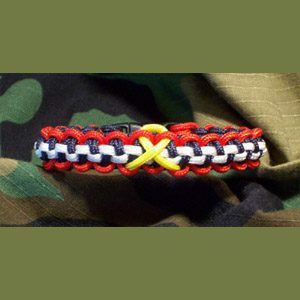 Exclusively from Paracord Paul! Includes our durable contour buckle. 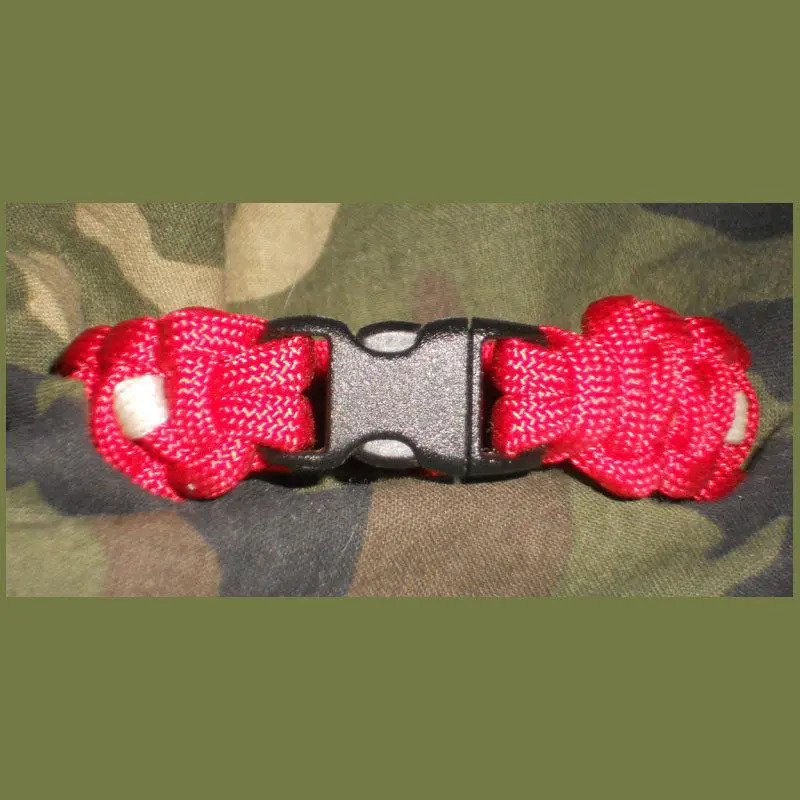 What is the difference between 275 and 550 Paracord? We manufacture this Mil Type 1 style cord to our specs with a 4 strand core and 16 strand cover delivering a whopping 275 pound test break. We call it 275 Tactical Cord and it’s some tough stuff. All of my products are made in the U.S.A. with mil-spec MIL-C-5040H type III requirement cord and have a minimum breaking strength of 550 pounds (550 cord). My paracord comes from the same U.S. factory that is a government contractor to supply the military, so quality is assured. For a visual slideshow showing bracelets made with each, click here.